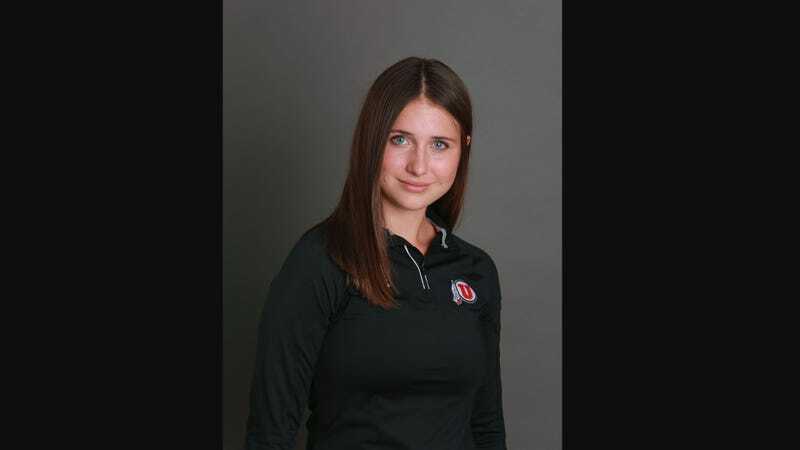 University of Utah track and field athlete Lauren McCluskey was found shot dead Monday night in the backseat of a vehicle outside a campus dormitory, according to university police. The suspected shooter was 37-year-old Melvin Rowland, a man McCluskey’s family said she had recently stopped dating. Rowland’s body was found a few hours later at a church; police said he died by suicide. At a press conference, university police chief Dale Brophy said that McCluskey had filed a police report with them “on Oct. 12 and Oct. 13” about threats from Rowland. There was “some follow-up” and it was assigned to a detective who was “working to build a case against our suspect at that time,” Brophy said. The police chief would not go into further details about what happened with that investigation. On Monday night, Brophy said that police got a call from a frantic mother saying “something happened to her daughter.” In a statement released by the McCluskey family, McCluskey’s mother said that she was on the phone with her daughter that night when she suddenly heard Lauren McCluskey yell “no no no!” Afraid her daughter was in a car accident, she stayed on the line while her husband called 911. A few minutes later, the family statement said, “a young woman picked up the phone and said all of Lauren’s things were on the ground.” It was the last time she spoke with her daughter. Police officers went to the parking lot and found McCluskey’s body, Brophy said. The university issued an alert and an order for students to “secure-in-place.” It was lifted at 11:46 p.m., according to the university’s website, after police determined that Rowland was no longer on campus. Brophy said that Rowland was picked up by a vehicle and, about 1:15 a.m. he was spotted by Salt Lake City police who ran after him. Rowland got inside the Trinity AME Church, where he killed himself. A retired pastor told the Salt Lake Tribune that, to the best of his knowledge, Rowland didn’t attend the church and he had no idea why he chose that building. The family of McCluskey, 21, said that their daughter had dated Rowland for about a month. She ended the relationship after she learned about his criminal history. Lauren was a senior student athlete on the University of Utah track team. She was an outstanding student with a 3.75 GPA majoring in Communication and was excited to graduate in May 2019. She was a 2015 honors graduate of Pullman High School where she was Washington state champion in the high jump and the school record holder in the 100 meter hurdles. She attended Capital Church in Salt Lake City. She loved to sing and had strength and determination. She was dearly loved and will be greatly missed. Police said the two had been in a “prior relationship,” but wouldn’t comment further. According to Utah Department of Corrections, Rowland was convicted in 2004 of enticing a minor, a second-degree felony, and attempted forcible sexual abuse, a third-degree felony. His last known home, Brophy said, was a halfway house.